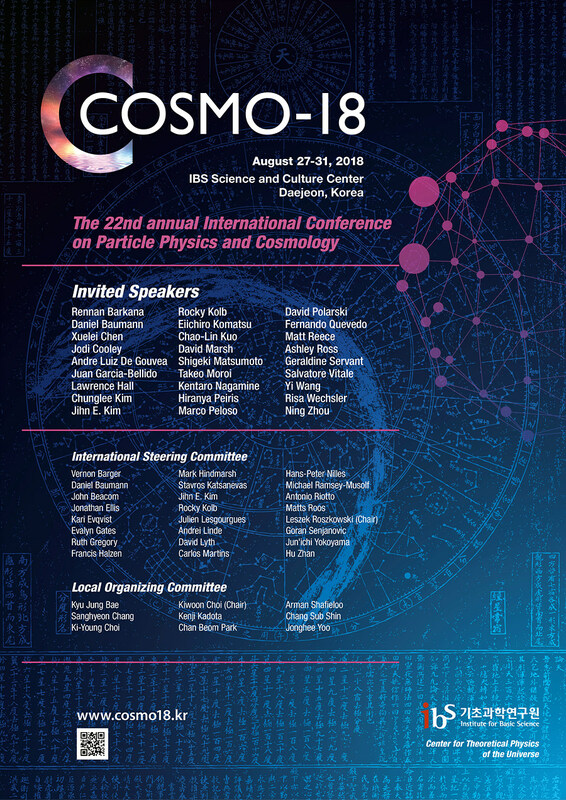 COSMO-18 is the 22nd international conference on particle physics and cosmology, which is the largest and most important conference on the subject. The COSMO series is one of the major venues of interaction between cosmologists and particle physicists. Physicists on both theory and experiment will join the event to present the most recent development of the area and collaborated. Topics to be discussed include: Large Scale Structure and Cosmological Microwave Background, Inflation and Early Universe, Particle astrophysics, Dark matter and dark energy, Particle Physics, Multi-messenger Astrophysics. For general inquiries, please contact Dr. Sanghyeon Chang.